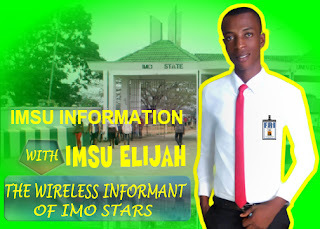 The woes of the embattled outgoing governor of Imo state, Owelle Rochas Okorochas seems to be compounding by the day. The latest was the announcement, yesterday by the Action Alliance (AA) that it has adopted the People’s Democratic Party (PDP) presidential candidate, Atiku Abubakar, pledging to work for his emergence as president in the February 16 election. National chairman of the party, Chief Kenneth Udeze, told newsmen, yesterday, in Abuja that their decision was premised on the fact that Atiku, a former vice president would tackle the challenges bedevilling the nation and restructure Nigeria on the path of growth. “We are for Atiku/Obi leadership and we are glad to work with all believers of true federalism and efficient administration of governance at all levels to accomplish this as we approach the forthcoming elections,” he said. 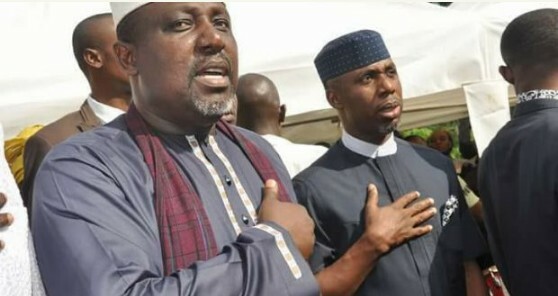 Igbere tv reported that the All Progressive Congress (APC) NWC led by Adams Oshiomhole had threatened to suspend Okorocha and others over what it called anti party activities following the governor’s open support for the AA governorship candidate, Uche Nwosu against the APC candidate, Hope Uzodinma. 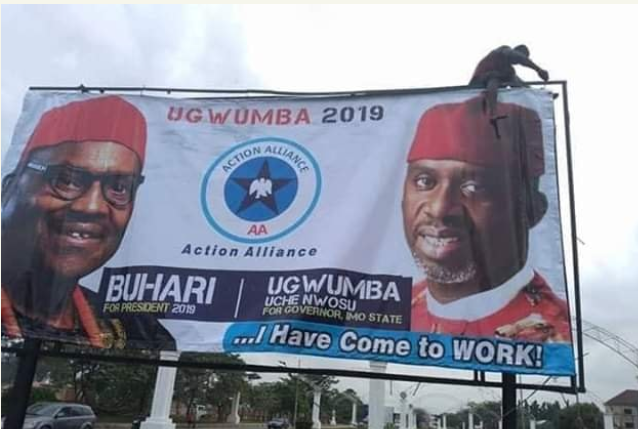 Okorocha had defended his actions claiming that there was alliance between both party’s to deliver President Buhari and Uche Nwosu in Imo state, but with the present development, Okorocha appears to have lost grounds and may face the party’s hammer soon.